The College extended its suspension of Alpha Delta fraternity last week after allegations arose that members of the fraternity branded new members in the fall of 2014. AD responded in a statement from attorney George Ostler that acknowledged that branding had occurred but claimed that it represented “self-expression,” was limited to a small group of members, not the brotherhood as a whole and was neither a requirement for new or continued membership, nor did the decision to be branded affect a member’s standing in the organization. The investigation into the alleged violations committed by AD is ongoing, as are any disciplinary measures that are pending. College spokesperson Justin Anderson said in a statement that AD’s current suspension, which was set to expire in the spring, will be extended indefinitely pending the completion of disciplinary proceedings surrounding the branding allegations. The statement cited a three-year history of disciplinary violations, including hazing, serving alcohol to minors and hosting unregistered parties. Anderson declined to comment further. AD president Ryan Maguire ’16 and former president Mike Haughey ’15 did not respond to requests seeking comment, while other members of AD either did not respond to requests seeking comment or declined to comment. Director of Greek Letter Organizations and Societies Wes Schaub did not respond to a request seeking comment. AD’s current suspension began in September and was related to two incidents in the winter and spring of 2014. The fraternity hosted a party on March 1, 2014 where they served hard alcohol and did not check identification to ensure that students consuming alcohol were 21 or older. Later, on Aug. 3, a Safety and Security check found 70 individuals in AD when the fraternity had not informed the College that it would host and event of that size that night. In addition to the specific incidents that instigated AD’s suspension — and an alcohol ban originally set to continue through Sept. 2015 — the house had been on probation for nine of the 12 terms preceding the start of the suspension. In Ostler’s statement, provided to The Dartmouth by AD alumni advisor John Engelman ’68, AD acknowledged that some members had chosen to get body brands. The statement went on to describe the branding practice as a form of “self-expression,” which it likened to tattoos and body piercings, and stated that no violation of either New Hampshire law or College policy occurred. Both Ostler and Engelman declined to comment on the ongoing disciplinary proceedings. Hank Nuwer, a professor of journalism at Franklin College and a nationally recognized expert on collegiate hazing, said that branding is not an unusual hazing technique. Such brands are usually nominally optional, Nuwer said. He noted that in most Greek organizations that use branding, peer pressure and a mob mentality convince most members to acquiesce. “It may be a form of expression, but it falls into all those kinds of hazing activities that involve peer pressure and a sort of group expectation and groupthink, in terms of the camaraderie that is expected and certain penalties for not going along with the group,” Nuwer said. Nuwer added that the derecognition of AD in response to the branding would “be the logical step” for Dartmouth to take. Susan Lipkins, a psychologist and expert on hazing who authored the book “Preventing Hazing: How Parents, Teachers and Coaches Can Stop the Violence, Harassment and Humiliation,” said that the best way to do away with potentially physically harmful hazing would be the wholesale elimination of Greek organizations in the United States. Lipkins said that Dartmouth’s administration should react strongly to the incident and attempt to alter the broader conversation about Greek organizations at American academic institutions. 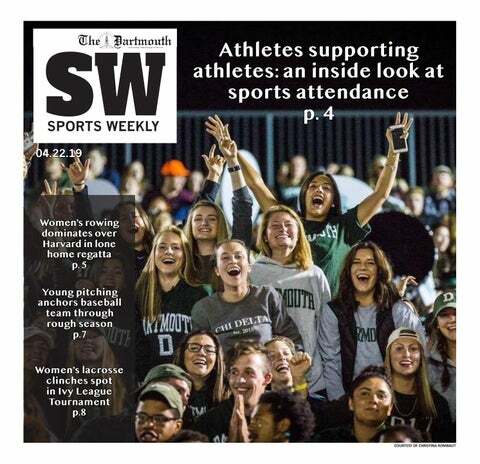 “If Dartmouth was brave enough and smart enough to do something rather radical and strong, it might actually start to penetrate the minds of the students at the College and of administrators at other colleges as well,” she said. “It’s really a method that fraternities and sororities and other organizations have used in order to wiggle out of the true definition of hazing and try to make it appear as if it was a voluntary decision, which it is not,” Lipkins said. Nuwer noted that branding and tattoos for new members is not a behavior limited to collegiate fraternities. “It is just so indicative of cult-like groups to get these kind of things and to coerce others into getting it,” he said. Branding can also leave physical damage to the impacted skin, Nuwer said. He said that raised scar tissue can expand and skin can be harmed or change color. “Certain people with either sadistic tendencies or who are under the influence or foolish will try to get creative with how those brands are administered, and that’s an added danger with it,” he said. In separate statements provided by Inter-Fraternity Council president Chase Gilmore ’16, who is also a member of AD, and Panhellenic Council vice president for public relations Allison Chou ’17, both the IFC and Panhell condemned hazing and said that their organizations do not haze new members. The IFC’s statement noted that IFC and fraternity presidents unanimously voted to end pledge terms for new members in a fall 2014 vote. The Panhell statement said that hazing is antithetical to their values and undermines the community of the Greek system. Panhell president Jordyn Turner ’16 said that she was “disappointed” by the allegations of hazing. “Regardless of the fraternity name, it is disappointing to hear about hazing in general,” she said. Turner also reaffirmed Panhell’s commitment not to haze its new members. Other Greek organizations have also suffered suspension or probation in recent years as a result of hazing violations. Beta Alpha Omega fraternity was suspended in October 2013 following publication of numerous emails and a Google document detailing proposed hazing practices of the fraternity to initiate new members by Gawker. Alpha Phi Alpha fraternity was placed on probation for three terms following investigations into hazing allegations relating to forced exercise routines and beatings with wooden spoons in the fall of 2012. Pledges were also allegedly prevented from talking to friends outside their fraternity. Director of undergraduate judicial affairs Leigh Remy declined to comment and redirected requests seeking comment to Anderson. Allison Chou is member of the The Dartmouth business senior staff.